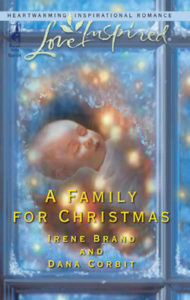 The year 2019 started off with a bang as I learned that my novella, “Child in a Manger,” from the Harlequin Love Inspired 2-in-1, A FAMILY FOR CHRISTMAS, has been made into a TV movie. In a deal between Brain Power Studios and Harlequin Enterprises, both Canadian companies, the movie has been filmed and will be released later this year. The exact date and platforms have yet to be announced. Directed by Justin G. Dyck and adapted for the the screen by writer, Keith Cooper, the TV movie, now called BABY IN A MANGER, will feature Canadian actors, Monica Knox, Michael Morrone and Caylin Turner. 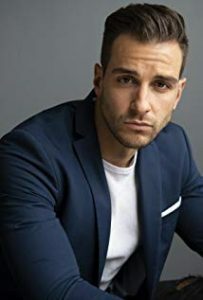 A newcomer to television, Morrone has been featured in the TV movie, “After the Storm” and the TV series “Disasters at Sea.” A professional drummer and professional model, he was the winner of the SuperModel Canada Male 2018 contest. 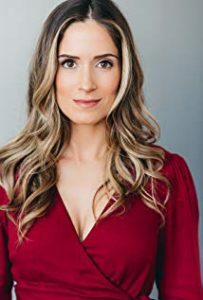 Turner began her career in local stage productions of such productions as “Shrek” and “Wizard of Oz” and expanded her work to film and television in 2018. 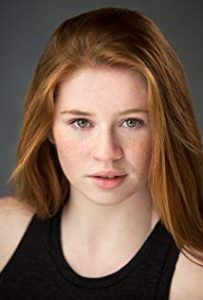 She has completed her first lead role in the feature film, “This Was America,” and was nominated for best lead actress in the short film, “The Fields of Dying Rabbits,” at the 2018 Joey Awards. I have received a new contract to write in the popular Colton series for Harlequin Romantic Suspense. My story, tentatively called COLTON BABY SECRETS, will be Book #5 in the 12-book continuity series, The Coltons of Mustang Valley. The first stories will release in January 2020, and mine will release in March 2020. My Harlequin Love Inspired novel, A HICKORY RIDGE CHRISTMAS, written in 2006 as Dana Corbit, will be re-released in October 2019. The next story in my True Blue series for Harlequin Romantic Suspense, HER DARK WEB DEFENDER (working title), will be released in November 2019. Shielded By the Lawman, the first book in the True Blue series for Harlequin Romantic Suspense, is on sale now! I have loved this story for years and am so excited to finally be able to share it with you. Even the cover is amazing. 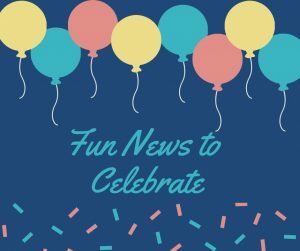 Yes, Shielded By the Lawman and True Blue are new to the RS line, but the series about the heroes of the Michigan State Police Brighton Post first made its appearance through the Harlequin Superromance line in 2016. After the Superromance line was phased out, I was so happy to be able to take these wonderful characters in a whole new direction in RS. These stories are darker, more dangerous and a great ride for me as I write. I hope y0u’ll love them as much as I do. 1. Original Title: Shielding Sarah. I still love that one, but, of course, I should since I came up with it. 3. Celebrity I pictured for my hero as I wrote: I had a hard time finding the person who resembled the Jamie Donovan in my head until I went back to my favorite show, Blue Bloods, and found that actor, Will Estes, was perfect. It’s purely coincidental that my Jamie and Will’s character, Jamie Reagan, share a first name, and they’re both cops. (At least I didn’t do it consciously.) Jamie Donovan was just a wonderful secondary character in my earlier title, Strength Under Fire, who kept clamoring for his own story. Order your print or e-book copy of Shielded By the Lawman through these and other online vendors – Amazon, Barnes & Noble and Books-A-Million. If you’re looking for a short, fun read, check out Home to You. 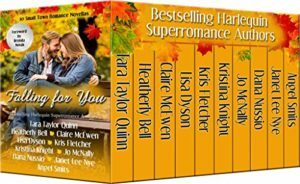 This novella, originally published as part of the Falling for You anthology with nine of my Superromance sisters, is available in print for the first time. 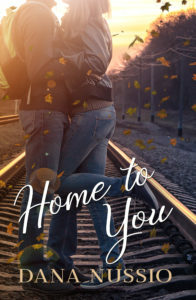 Home to You is the story of Lily Monroe, a prodigal daughter who returns home to prepare her family’s Thanksgiving dinner on the first holiday after her mother’s passing, and C.J. Grayson, is the love Lily left behind “for his own good.” This book gives you a little taste of the True Blue series while whetting your appetite for all the wonderful dishes Lily and C.J. prepare together. I enjoyed writing Home to You because it allowed me examine delicate family relationships with a little humor in the setting of a highly stressful holiday dinner. I love re-reading it because it puts helps me get in the spirit for our own Thanksgiving celebration. Home to you is available through these vendors: Amazon, Barnes & Noble and Books-A-Million. I’ll also have copies available at the 11th Annual Girls’ Night Out Book Signing on Nov. 28 (6:30-9 p.m.) at No.VI Coffee & Tea, Novi, Mich. For more information, scroll down. Hope to see some of you there! For those of you who love autumn stories and like to read several lovely novellas in addition to mine, you’re in luck. Our e-book only anthology, Falling for You: 10 Small Town Rom ance Novellas, is still available on Amazon and is free to those lucky reader who have KindleUnlimited. Falling for You features stories by several of my dear friends, Tara Taylor Quinn, Heatherly Bell, Claire McEwen, Lisa Dyson, Kris Fletcher, Jo McNally, Janet Lee Nye and Angel Smits. Order your copy here. 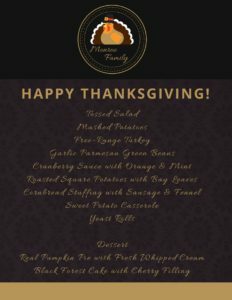 For fun, I planned a menu for the holiday meal that Lily prepares under C.J.’s tutelage in Home to You. Our Thanksgiving Dinner isn’t quite that fancy, but it’s filled with dishes like pierogi and cabbage rolls and is its own kind of wonderful. 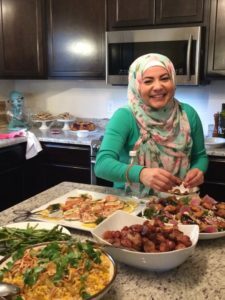 One of the first items Lily makes is cranberry sauce that I modeled off the recipe of my friend, Amanda Saab, a food blogger and past contestant on Fox’s Masterchef. So if you would like to make Cranberry Sauce just like Lily does, check out the recipe on Amanda’s blog here. I tried it last year, and it rocks! And I do bake them. Homemade pie crust. Homemade filling from my own recipe. Because I really like you all, I’m sharing that recipe today.I always use oil crust for my pies, but that choice is up to you. You can even use pre-made shells. I won’t tell. 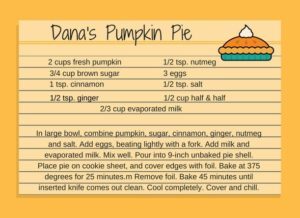 😉 But give my Pumpkin Pie recipe a try and let me know how it goes. I’ve probably given you the idea that my story is only about food, but the Thanksgiving dinner is only a backdrop, even if a delicious one. Home to You is a story of decisions we regret and the words we wish we would have said, but it’s also a message celebrating home and the hope of second chances.